Right now I am in Seattle for the 6th stop on the Tailgating Tour, Washington. Although the cuisine in Washington has a very heavy Asian influence, this dish is from my trip to Berkeley. I will bring you the Asian dishes that I discover in Washington later, but for now I am focusing on what I ate at Cha-Am in Berkeley. 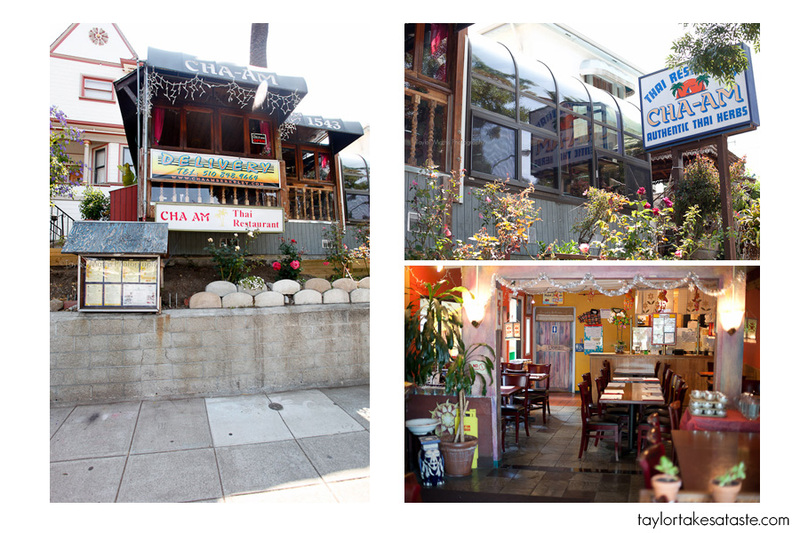 Cha-Am is located on on Shattuck Ave and serves up some delicious Thai food. I love Pad Thai. 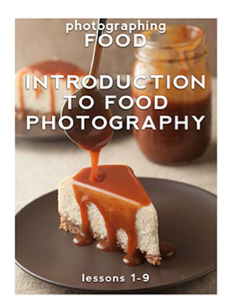 You know how there are certain dishes that you always order and never stray from. Well that is my relationship with Thai food and Pad Thai. 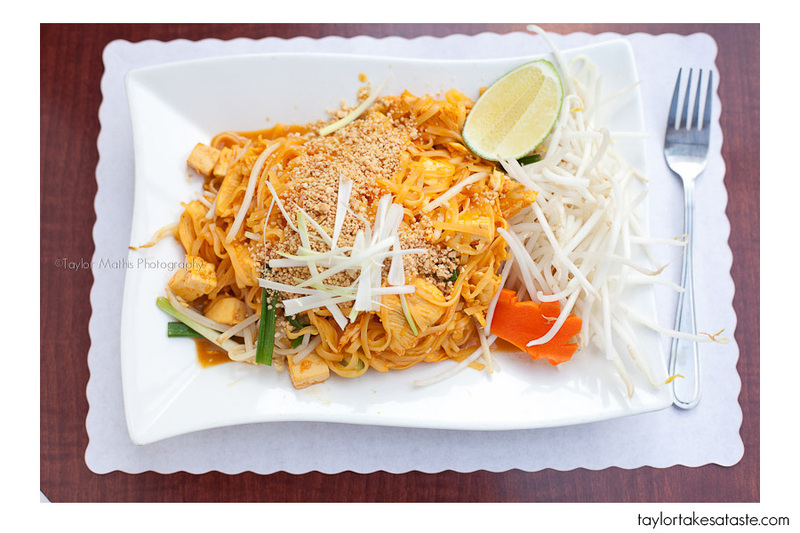 Whenever I go to a Thai place, I always get Pad Thai. I want to branch out and try something new, but there is something about the combination of rice noodles, tamarind, fish sauce, egg, lime, chicken, chili powder, and tofu that I can’t turn away from. 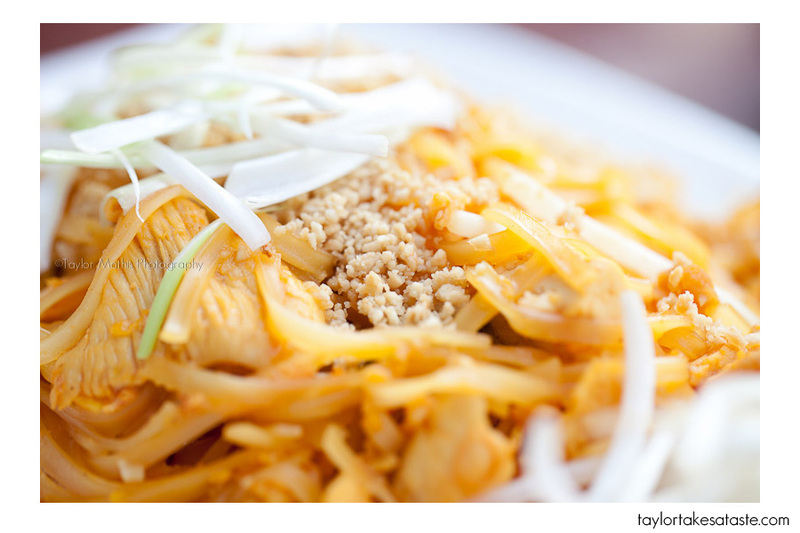 There are other ingredients and veggies that you can add to your Pad Thai, but what I think makes the dish unique are the rice noodles and what makes up the sauce. If you have never had rice noodles, let me warn you they are very different from the traditional pasta you may be accustomed to. Rice noodles have a more elastic quality and are slightly more translucent than their Italian counterparts. There is also a completely different mouth feel. Rice noodles are almost slimier, but not in a gross way. ground up peanuts. 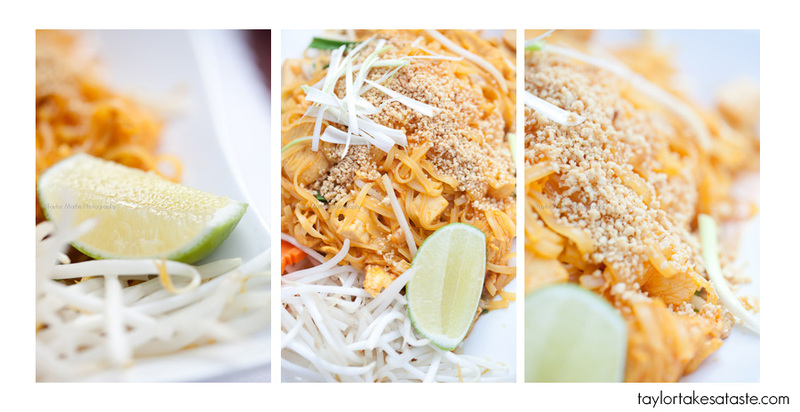 The Pad Thai at Cha-Am contained all the distinctive qualities that one looks for in Pad Thai. I can not speak for the rest of their dishes, but based on what I had I can assume that they lived up to the same standard. In Seattle, I am looking to branch out and try new Asian cuisines. 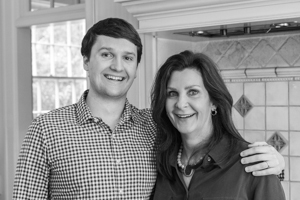 ( Yes, I do realize when I say Asian I am making a huge generality, and I know that every Asian country has its own unique and diverse cuisine). Stay tuned next week for what I discover while in the Pacific Northwest! Have a great weekend. I always order Pad Thai when I’m trying a new restaurant. I use it as my litmus test to figure out if I like the place or not. I do get more adventurous when I’m ordering from a familiar Thai restaurant. You should try curries, they really are delicious. Green curry with coconut milk is one of my favorites. 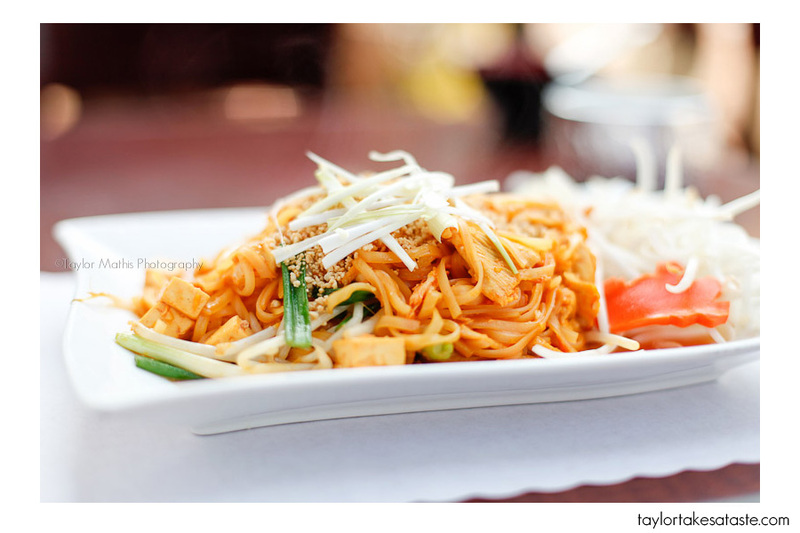 pad thai is one of my staples as well…. my other go to is Tom Kha- it’s a coconut milk based soup with chicken and lemongrass- a lot of places add mushrooms as well. its got great spices as well.. i highly reccomend it!